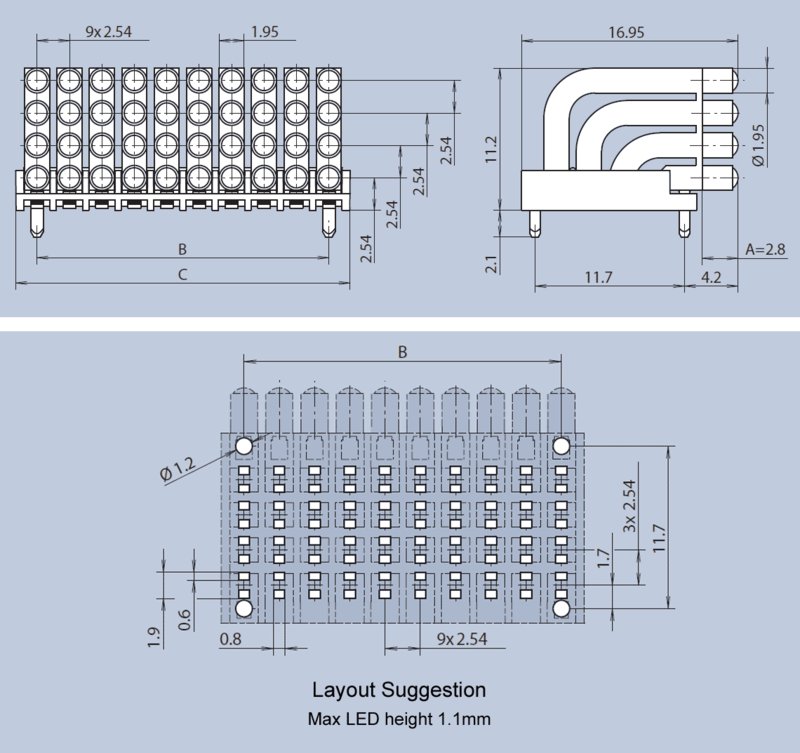 This light guide module is intended for CHIPLEDs, type 0603 or smaller and has a grid dimension of 2.54mm. An integrated diaphragm prevents light bleed, thus allowing the use of mixed colors with optimum optical quality. Featuring 4-rows as standard, versions between 2 and 10 columns are available, allowing a maximum of 40 elements. Mounting on the PCB is via press-in lugs. Length A is 2.8mm as standard but infinite length variations can be supplied up to 15mm.